Adam D. Wolfe is a professional musician, educator, and producer living in the greater Atlanta area. Adam has been making a career in music, playing with many international musicians, solo artists, jazz ensembles, and musical theater productions. He is currently working with Atlanta's The Regulars Band, Mixtape, Big Band Atlanta, Little Big Band Atlanta, Manny Cortes, Brookwood Split, Dylan Cornell, Joey Stucky, Jez Graham, and The Porch Band. Adam is the Technical Director and Front of House Audio Engineer of Snellville United Methodist Church. His Musical Theater credits include experience internationally, performing many shows aboard the Crystal Serenity between 2012-14, in the Atlanta area Adam has worked with Fabrefaction Theater, Southside Theater Guild, Stage Door Players, The Atlanta Girls School, OnStage Atlanta, University of West Georgia, Serenbe Playhouse Out Front Theater and The Carrollton Cultural Arts Center. Adam's teaching credentials include a Bachelor of Science in Music Education from the University of West Georgia, teaching personalized lessons for large ensembles at Bowdon High School, Villa Rica High School, Newnan High School, Bowdon Elementary, Chapel Hill High School and Temple High School. Adam also currently teaches privately in the Greater Atlanta Area. Adam will begin in 2019 working with renowned percussionist Dave Holland in collaboration with his company Beatin Path Productions that produces live educational concerts spanning the width of the Georgia Education Standards while also meeting the needs of the Music Education curricula. Find out more: http://beatinpathrhythmevents.com. Adam's experience as a sideman includes his involvement in the many productions on the luxurious Crystal Serenity cruise ship from 2012-2014. In his time there, he's helped the Serenity Entertainment Department earn the highest acclaim in the cruise ship entertainment industry, performed in the various ensembles, productions, special events, and provided written transcriptions of recorded music. Adam has also been coordinating session musicians for multitrack backing recordings. In 2018, Adam coordinated and directed the recording of ventriloquist Mark Merchants backing tracks, which he'll use on his upcoming tours. Adam also has experience composing for percussionists, percussion ensembles, chamber musicians, broad-way artists, jazz ensembles, rock bands, churches, and electronic music for corporate use. He is fluent with programs Ableton Live 9 and Sibelius 6. Adam, along with his business partner, Nancy Gerber, founded the Gwinnett County Jazz Collective, which hosts jam session, educational workshops, and hopes to install an endowment chapter along with its official LLC in the coming 2019. (Which is in the works :) Nancy and Adam, both, want to help push the influence of jazz in Gwinnett County, GA. The jazz jams have been occurring regularly since 2016 and have been featured in the Gwinnett Daily Post, along with Riley's On the Square. 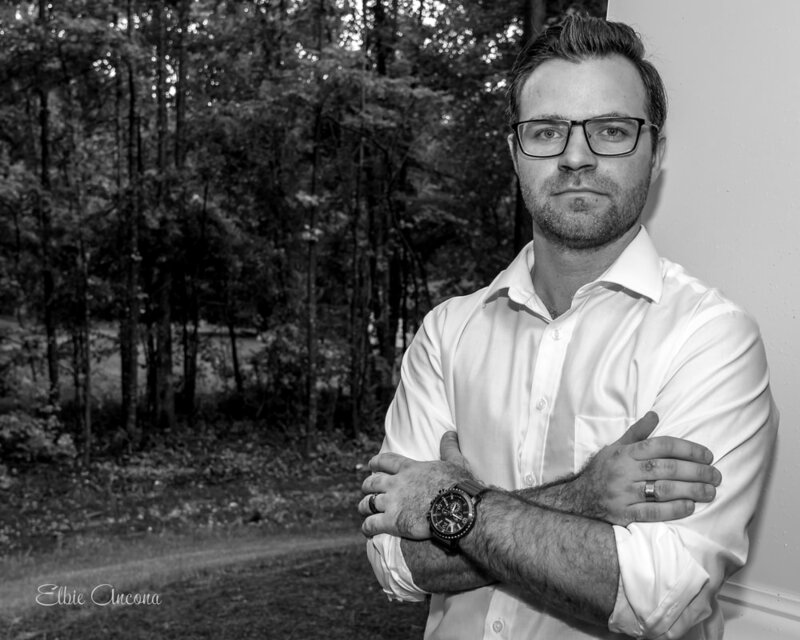 ​Adam stays as busy as possible in Georgia's live music scene, working with musicians and companies such as: KLF Entertainment, Espeute Productions, The Marquis Hardy Jazz Band, Collabrio (The House Band for the GCJC), The Regulars Band, Big Band Atlanta, Little Big Band Atlanta, Brookwood Split, Kinetic Soundz (DJ-Drummer duo), The Porch Band, The Misdemeanors Jazz Band, as well as many others. To Adam's excitement, he'll be writing arrangements and directing a jazz quartet for an upcoming Netflix movie in 2019. Did I mention, he's also the drummer?! ?